HOUSTON -- If you’re planning to honor President George H.W. Bush over the next two days in Houston, or if you’re going to be driving near the church where the service is being held, there are things you need to know. 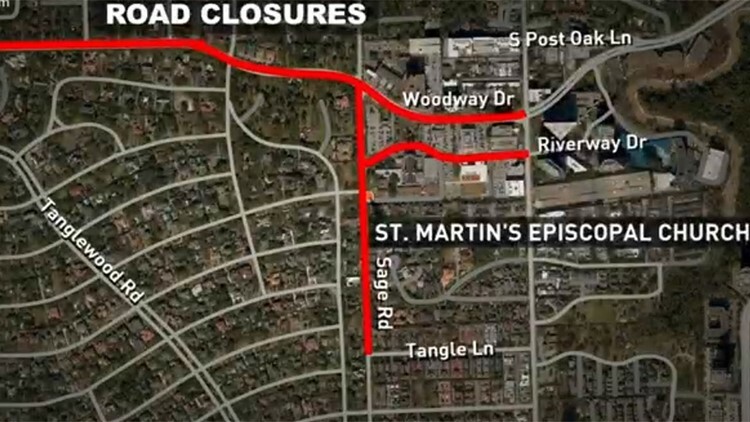 Traveling on Woodway between Chimney Rock and the 610 West Loop will be severely restricted. Only residents and business owner needing access into the area will be allowed beyond road closures. Anyone who wants to go to the public response for President Bush must check in at the Second Baptist Church at 6400 Woodway for METRO bus shuttles and security screenings. METRO bus shuttles will begin loading at 4:45 p.m. on Wednesday with the first bus scheduled to leave at 5:15 p.m. The last bus will leave at 5:30 a.m. on Thursday. Walk-ups will not be allowed for the public ceremony on Wednesday nor the funeral on Thursday. Everyone who goes will be screened. Weapons of any kind won’t be allowed. The funeral on Thursday will be a private service and by invitation only.